At IDE, we see the integration of people, technology, and business concerns in design as a necessary basis of doing design. At each of the three corners we link to the neighbouring disciplines, conduct strong research, and connect findings toward integration and design. 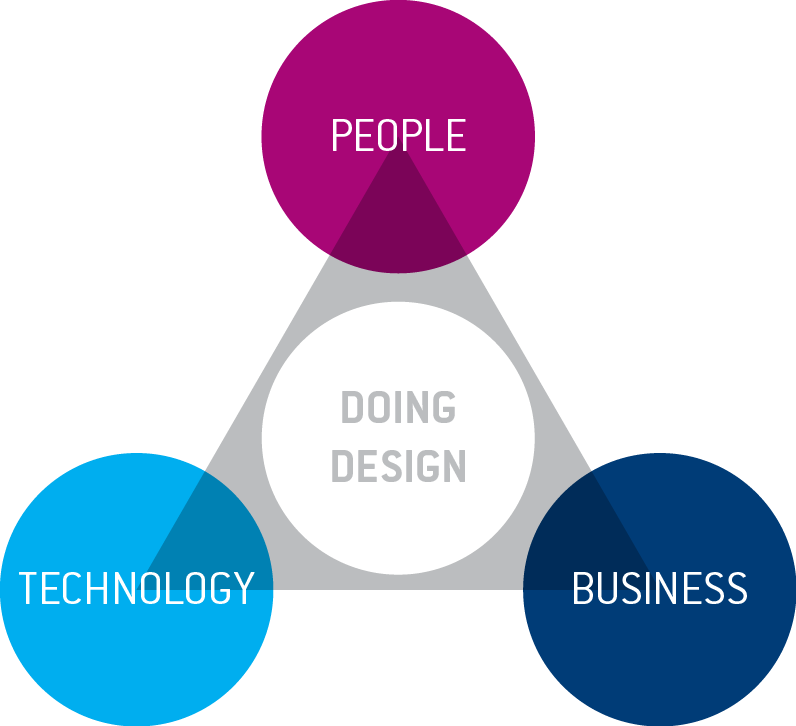 Our research spans the entire triangle of People, Business and Technology. At the corners of the triangle our research groups connect to ‘mother disciplines’ in various fields, the research programmes. Between the corners we can strengthen connections to grow the emerging transdiscipline of design research to a mature field. We see three societal themes where we will do research to contribute to the needs of the profession and society, and two connecting themes, that combine expertise from different disciplines. Looking for better ways to care for the aging population, the rise of healthcare costs and the quality of care in the whole chain. How can we make better use of the resources on earth, concerning consumer products, services, beliefs and behaviours? How can we provide people in transit a seamless experience across all underlying interlocking systems fit for different types of travellers? The possibilities of technology are numerous and new ones are added every day. The usability and acceptability for people however often still needs improvement before we get the best benefits out of the new technologies. We want to turn emerging technologies into technology that is widely accepted and used. Into applications that deliver a meaningful interaction for people. How can we unlock the power of people themselves by changing our behaviour? A lot of the problems that we do have are because we do the things we do the way we do them. When we find ways to do so we can take better care of ourselves and of others.